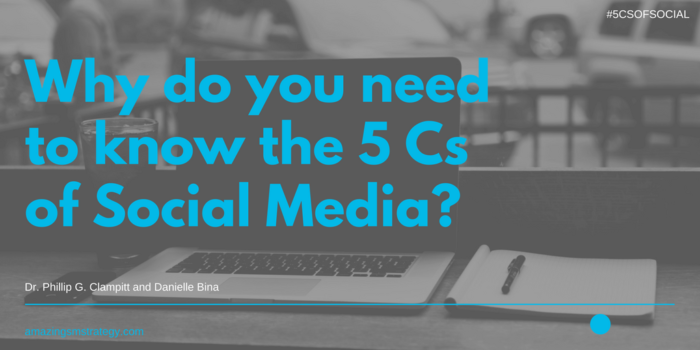 Why do you Need to Know the 5 Cs of Social Media? 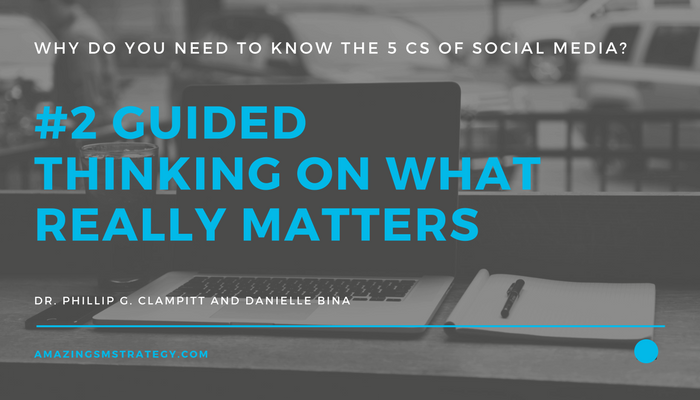 The 5 Cs of Social Media — Coordinates, Channels, Content, Connections, and Corrections — are interconnected elements used to craft an effective strategy. Why should social media managers, aspiring social media mavens, marketing executives, and chief digital officers care about them? Five reasons. 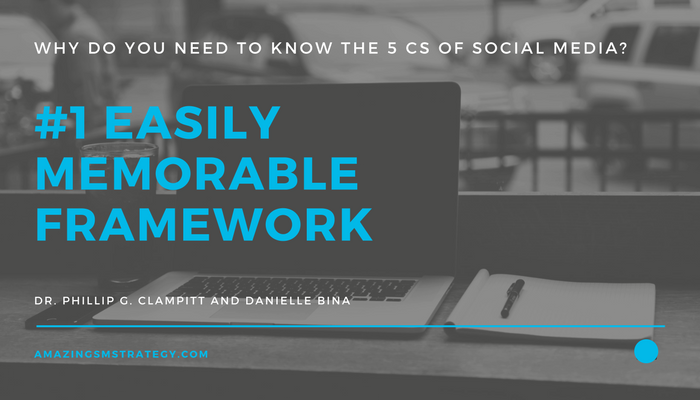 The 5 Cs provides an easy to remember framework for social media managers. The 5 Cs orient your thinking on things that really matter. 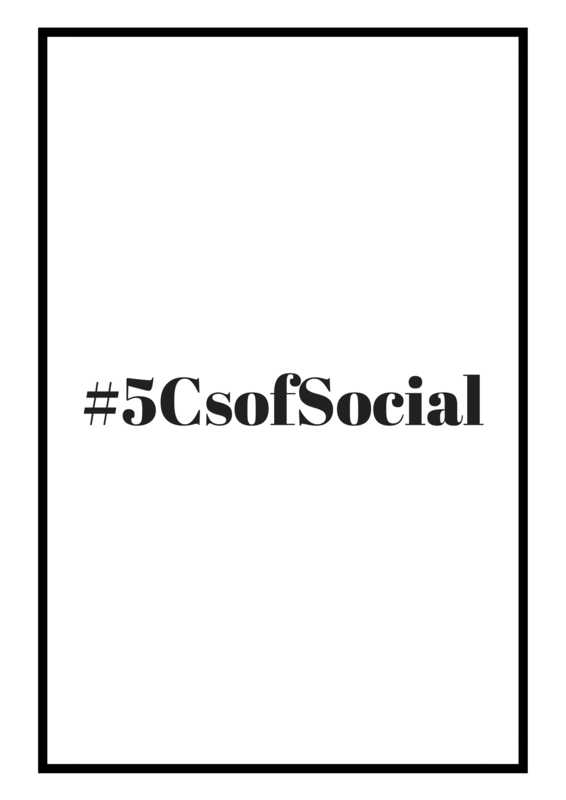 The 5 Cs provide a framework for you to zoom back and look at all the major elements of your social media strategy. For instance, you might excel at producing great content but not be very good at quickly responding to glitches (corrections). Long term, producing great content and quickly correcting errors maximizes your social media presence. The 5 Cs cultivate a synergistic mindset. The 5 C framework was developed to encourage robust, synergistic thinking about social media. 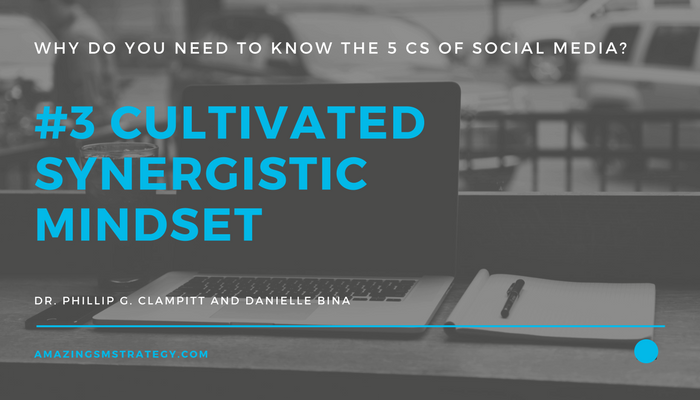 You are more likely to exploit the possibilities of social media by thinking about how your 5 Cs can reinforce and enrich one another. 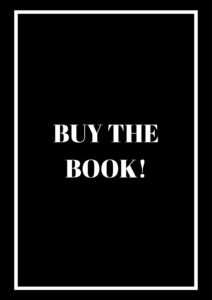 For example, considering which platforms (e.g., channels) best suit your content choices ignites your insight engine and will fuel better social media campaigns. The 5 Cs of social media expand the traditional boundaries of the social media manager’s job. 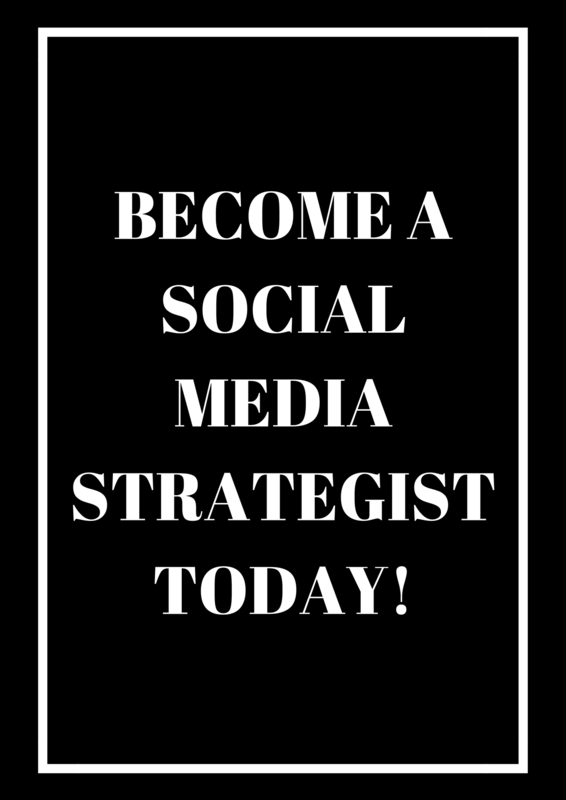 Often, social media specialists are hired with the thought of managing and producing content for an organization’s Facebook, Twitter and other social media outlets. Fair enough. But this is an overly narrow view of the job description. 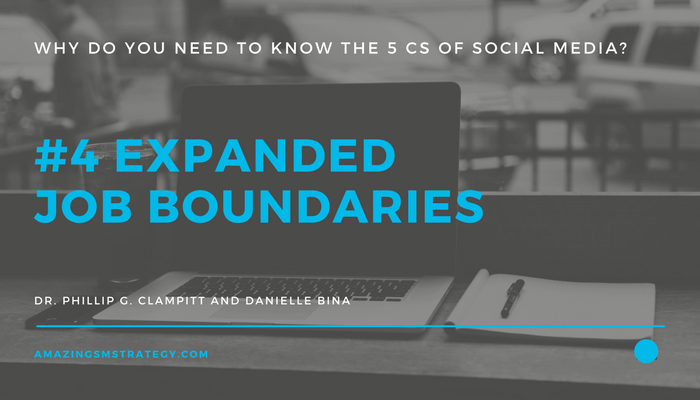 On the other hand, the 5 Cs of social media suggest a more vigorous role including establishing and maintaining the connections within the organization. The 5 Cs provide an assessment framework. An assessment framework tells you how to evaluate your effectiveness. Counting “likes” and followers is fun and easy, but it’s also potentially deceptive. These numbers, like counting the miles you traveled, may or may not tell you very much about how much closer you are to your destination. For instance, garnering a Kardashian-level of “likes” for messages (content) from the wrong audiences (connections) may fool social media managers into thinking that they are effective. 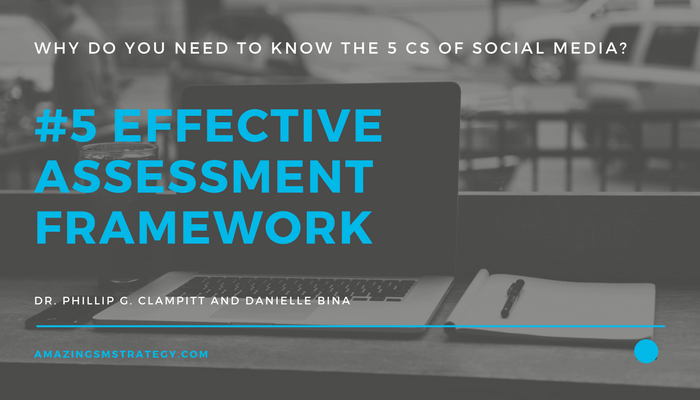 The 5 Cs framework allows you to determine exactly what you’re doing right and what needs more attention.